Gore should have put Twitter in a lock box. Al Gore may not have invented the Internet, but he did try to buy one of its most popular social networks. 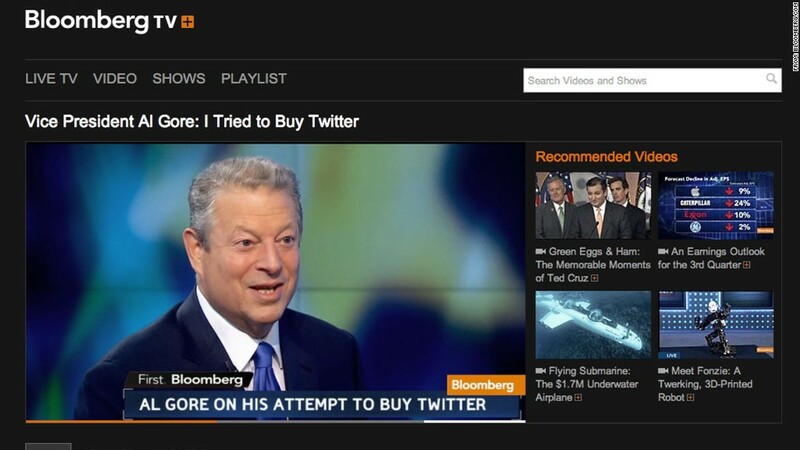 Gore's interest in purchasing Twitter was first reported by The New York Times' Nick Bilton in his just-released book "Hatching Twitter." In the book, Bilton described a drunken scene at the St. Regis hotel in San Francisco in 2009, during which Gore met with Twitter co-founders Evan Williams and Biz Stone, pouring "copious amounts of wine and Patron tequila." Alas, it was not to be. Bilton also reported Facebook (FB) tried to buy the company, and that CEO Mark Zuckerberg personally met with Twitter executives. But Twitter has remained independent. It recently filed for an initial public stock offering, and though the company is quickly growing its user base and ad sales, it is not yet profitable. The fact that Gore was unable to buy Twitter doesn't bother him -- and not just because he sold Current TV to Qatar's Al Jazeera for $500 million. 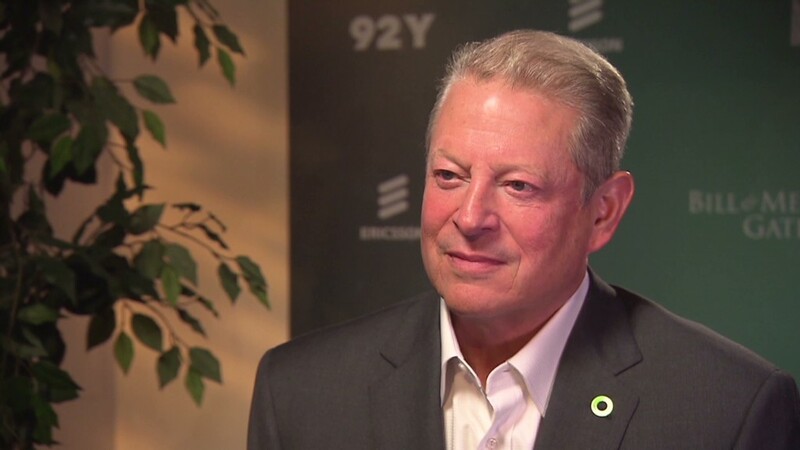 "They built that business into a fantastic success," Gore said of Twitter. "I'm very bullish on Twitter. It's become a global utility. It's a great business." Gore still has a strong presence in tech. He serves as a director on the Apple (AAPL) board, which makes him partly responsible for overseeing a company that's been in flux since founder Steve Jobs died in 2011. "Tim Cook is a fantastic CEO," Gore said. "Can you imagine trying to follow Steve Jobs? Well, Tim's done it. And he's done it in his own unique way."